The look and feel of your wedding can be greatly altered through the expert use of flowers and floral arrangements. These days many people are forgoing traditional floral centerpieces because of price. However, by getting to know the wholesale market and being willing to spend some time assembling arrangements yourself, you can create beautiful, classic floral centerpieces that will make your wedding perfect, while still keeping a lid on your budget. By truly assessing exactly what type, how many, and what style of flowers you are looking for, you can narrow down your options to a few that will give you that bang for your buck that every bride is searching for. Flowers are also a great way to celebrate the new love and new life that you and your spouse are creating for one another and together. Although a cool floating tea candle might sound like a good idea at the time, nothing says “wedding!” like real, gorgeous flowers. What about wedding flowers makes them so iconic and unique in our minds when we think of getting married? Flowers have been symbols of love for centuries. 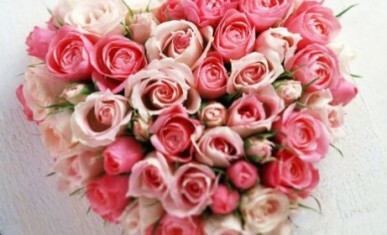 Certain flowers even have meanings that are associated with different aspects of love. A full, vibrant gardenia signifies joy, and red and white roses together can signify unity, while on their own they are passion and purity, respectively. Queen Anne’s Lace, the choice of royal brides for centuries, implies delicate femininity. Whatever your flower of choice turns out to be, chances are it has a special meaning that will lend even more significance to your day. These are the kinds of things you can press into the leaves of a scrapbook, and remember forever. To keep costs low for the budget-conscious bride, consider centerpieces that feature one or two striking blooms set off by greenery. Good choices for an arrangement like this are lilies, sunflowers, and gerbera daisies. These flowers even look great lying on their sides, and can been set off using fabric, leaves, branches and other craft materials. Definitely get creative in order to maximize the value from your flowers. Another, opposite route to take is to pump up the volume and turn down the price. By purchasing what are normally considered “filler” flowers, you can create a look that is fresh, abundant, and modern. Green dianthus carnations are a perfect example of a flower that is very inexpensive, but also lovely and edgy. Bunch a handful together in a tight clump and put them in a low vase with a bright sash around it. The green will bring to mind the newness, and the possibility of happiness and new life that is bubbling forth at your wedding celebration. Another great cost-saving spot to check out is your mom and dad’s, grandma’s or friends’ backyards. So many of us have hydrangeas that produce gorgeous, multi-colored flowers every year, but we do not consider them for our table settings. A big bouquet of hydrangeas pretty much does the work for us when placed in a simple vase. In addition, these flowers are great in a bouquet. In fact, make sure you scour the gardens that might be available to you. Who knows? The perfect centerpiece might be right under your feet. When you are making up your mind about wedding flowers, be sure to consider all of your options. You can find many low-cost ideas that will still allow you to have floral wedding of your dreams. You do not have to sacrifice class to get married within your means, and flowers can be a big part of your special day.